It's probably one of the things that we all have in common. It's now past Christmas, and as we remember the holiday did you take photos to remember the special moments? Christmas is a time for taking photos. I would guess that each of us took a lot of photos. I also hear from people who get so overwhelmed that they end up taking zero photos. 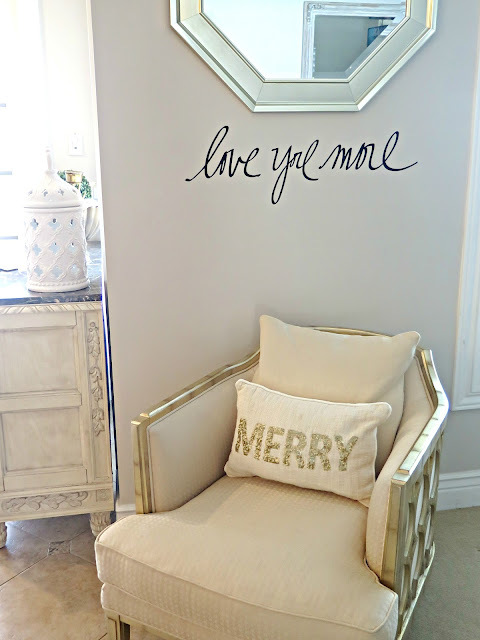 I look at Christmas and every holiday differently since my mother died. I hate to really verbalize it, but I think EVERY year, is this our last Christmas with "someone"? Did I take enough photos and capture the feelings and people? I know that I cherish the photos of Ty's last Christmas with us. He had lost his hair and had just got out of the hospital. He wore a gray knit hat and a big Cabela's coat. I know this because I have photos to look at. My kids have these photos to remember our last Christmas together. He didn't want his photo taken looking like he did. So I took candid photos. I took photos knowing how important would become to us. So I have this commitment to my family and to me. Well, it's a personal commitment. I see myself as the CEO of memory keeping for our family. 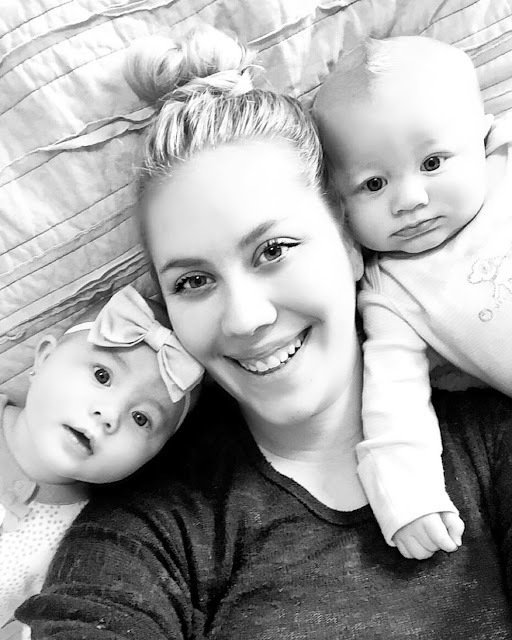 I am happy to say that my girls have now joined my company and take tons of photos. I have given them all printers to print out their photos. In fact, this year Taylor was thrilled when I gave her my Canon SELPHY CP910 in Gold. It's really a good day when she can get out with 4 month old twins so she likes to print her photos from home. I printed our Christmas photos last week. 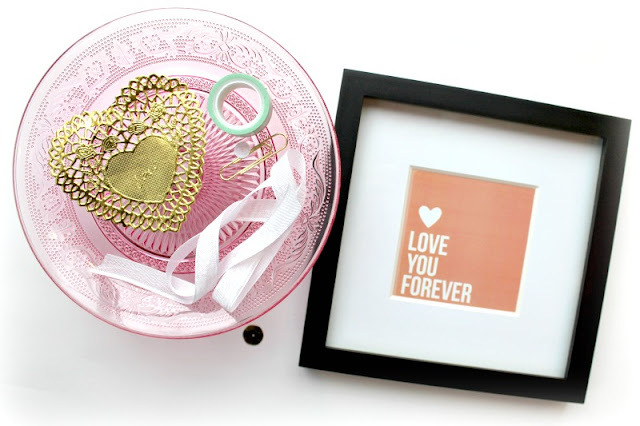 Have your printed those memories out? Are they still on the media card? Or do you find that you look at your phone to see the memories? This is a few of the photos that I printed out from this past Christmas holiday. I printed these photos on the Canon PIXMA iP8720 Crafting Printer. I realize that no one else is going to be as passionate as me in my family as the memory keeper. I wanted to capture it all. 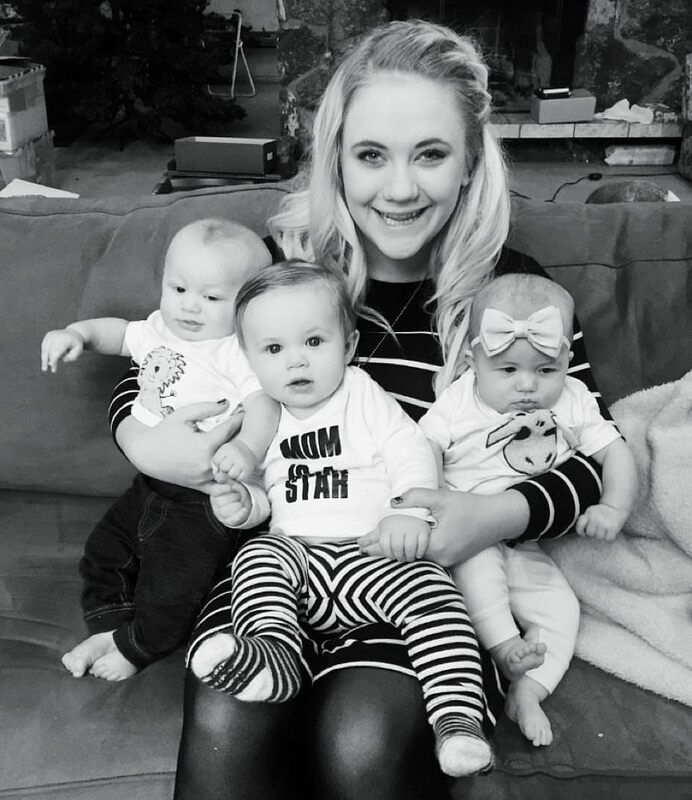 This was Cooper, Beckett and Capri's FIRST Christmas. If I don't take the time to take and print the photos, I know it will most likely not get done. I take this role to heart. Photos help us remember. I know this all to well. So often, I have heard the familiar words, "It is just another Christmas. The photos are all the same year after year." I know it may seem that way, but I see it differently because I have lost my mother and husband and know that the photos I have mean everything to me and my children. I see it as a way to document each year and the people in your life you care about the most. So I printed all the photos that I took from Christmas this year. Yes, I even printed the photos that were not "perfect." I placed them inside the TC Gold Photo Flip Book. I wanted to document this FIRST Christmas for the family. Look at the twins. They will only be 4 months old once. I can't go back and take these photos. These photos are keepsake. They will be precious photos that my grandchildren will want to see when they get older. They won't remember this time, but the photo will take them back to a time they won't remember. Who doesn't love looking at photo albums of your baby photos? I took photos of what the house looked like decorated. We have the Christmas Eve open PJ's for the family. We took photos by the tree of the girls wearing the new PJ's that they got. It's these special memories that are so important to print out. I decided to FRAME this photo that I printed. I love these three girls. I loved how much they LOVED the putting on the PJ's and taking this photo. This is a happy photo. So I hope you feel inspired today to print your photos out TODAY of your Christmas. Get those precious photos off your camera card or cell phone. I know you will be thankful that you did. The first day of CHA is always exciting and I hope you've been able to view my Periscope live feeds! 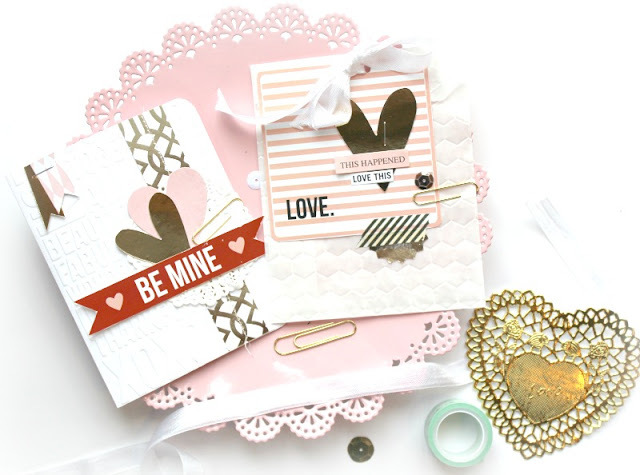 I'm so excited to debut my new products partnering with Clearsnap, Fiskars, and Craftwell! 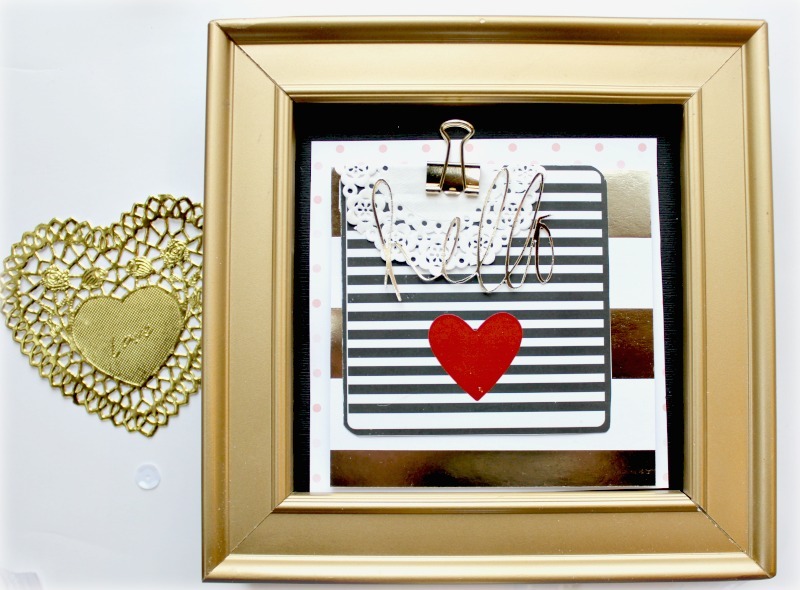 Yesterday I did a make and take with my Studio Gold GOLD flip books and new pigment inks and wood stamps. Most are available now on Amazon and look for them in your local retailers this spring! You will love the beautiful, crisp colors in the inks! I also debuted NEW punches with Fiskars as well as did a make and take in their booth! Not only am I releasing the state, monogram, and Eiffel Tower punches, I also have a STAR, CHEVRON, ARROWS, XOXO, TRIANGLE, BUTTERFLY, and BANNER Tag Maker as well! Here is me demoing the new punches in the Fiskars booth! I hope you will love creating with them as much as I do! 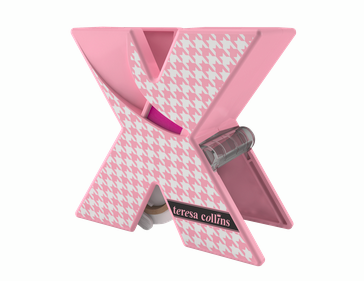 My new punches will be available March 2016 so look for them at major craft retailers! Last, I visited the Craftwell booth again doing a make and take with my Teresa Collins Embossing Folders, Dies as well as my die cutting machine: the Cut-N-Boss! Here is me showing crafters how to create a Card Keeper using the Cut-N-Boss! I feel so blessed to partner with a great company! Thank you to everyone who stopped by to say hello! I always love meeting new friends as well as seeing old ones! I ran into interior designer and TV personality Mark Montano and snapped a picture with him! Today I had interviews with Create & Craft TV as well as Scrapbook Expo! I can't wait to share more of what my company has is store for 2016!! I honestly do not know where to begin. I have so much I have wanted to share and so much I have not been able to share until now. At this point, I can share some exciting things and yet, I have exciting things that I cannot at this time. I guess that is the way designing and partnerships go. Let's begin with CHA. 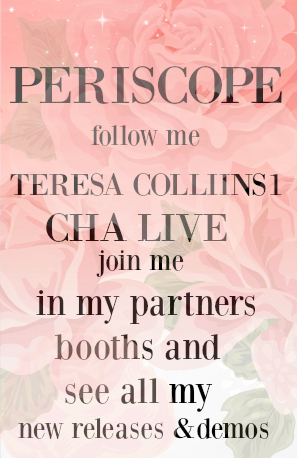 I will be going to CHA and am excited to debut some NEW TC products. I am blessed to be partnered with the best partners. Please join me at CHA on opening day SATURDAY January 9th in the following booths. 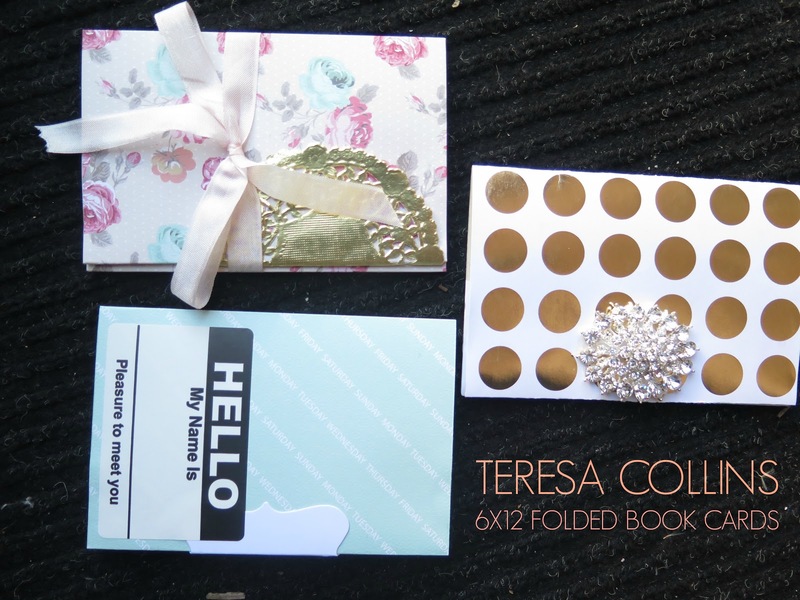 We will be featuring a TC GOLD FLIP book as a make n take for attendees. We will be going live on PERISCOPE from the booth. Watch from my broadcast and or CLEARSNAP periscope. Join me to see for my new beautiful ink pads and all my NEW wood mounted stamps. 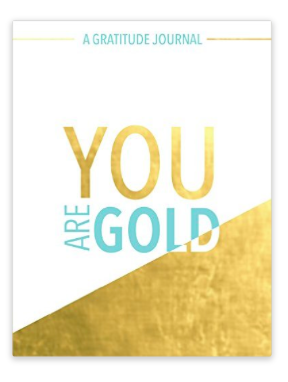 You can come and make a gold flip book. 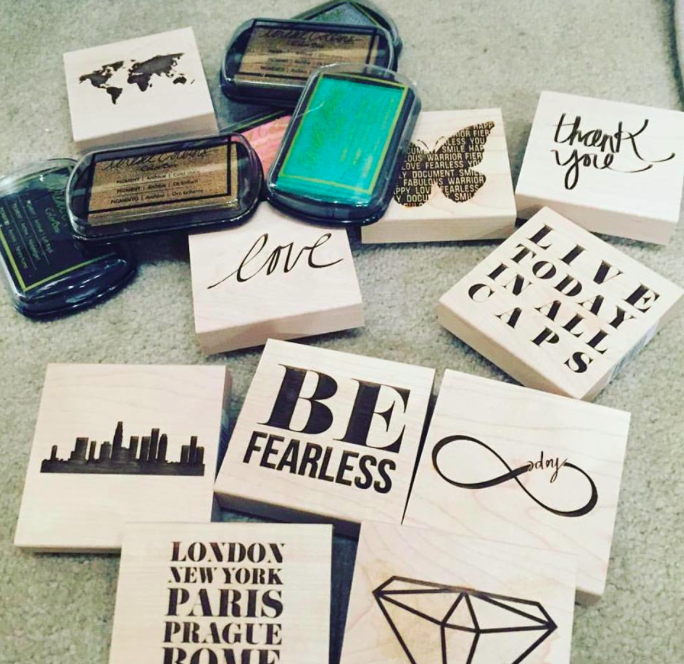 Stamp with my new wood mounted stamps and design your own book with me. If you are at CHA, you know the lines get crazy so come and get in line so you don't miss out. I am HONORED to be asked to design with this amazing company. They let me personally customize my inks and the stamps. They are BEAUTIFUL! 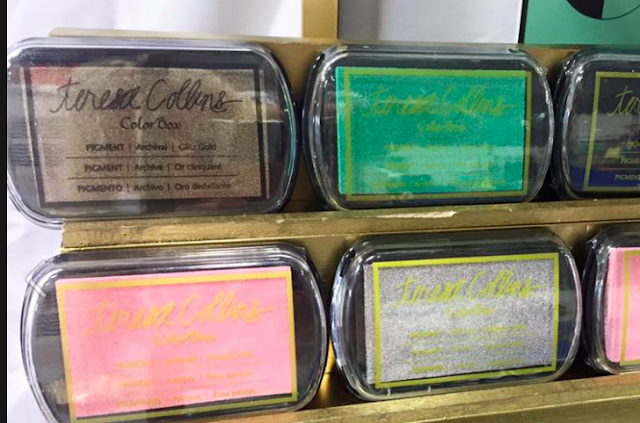 The Teresa Collins collection of pigment inks are debuting in the Michael's Arts and Crafts store. 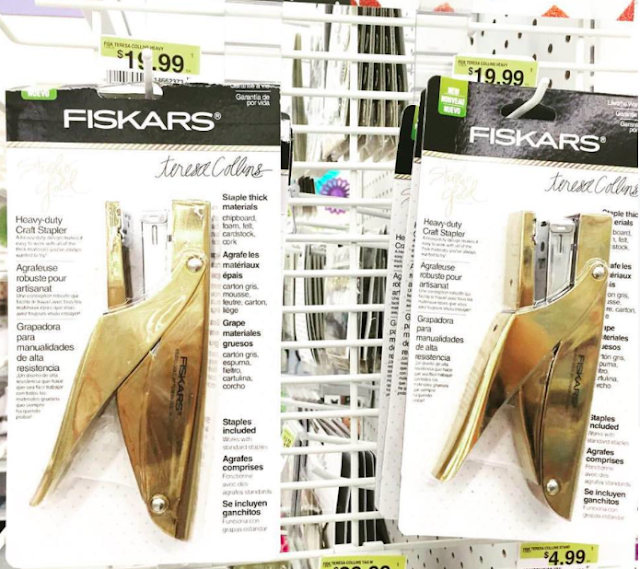 I am the BIGGEST fan of Fiskars and continually feel blessed to be designing with them. They take my ideas and just make them happen. Come see my BRAND NEW line of monograms, state shapes, eiffel tower and more... gold stapler, gold ruler, oh my... too many to mention. I have lost count on all the products we have done together. I am very thankful they let me run wild with my ideas and then we produce some never before done tools together. 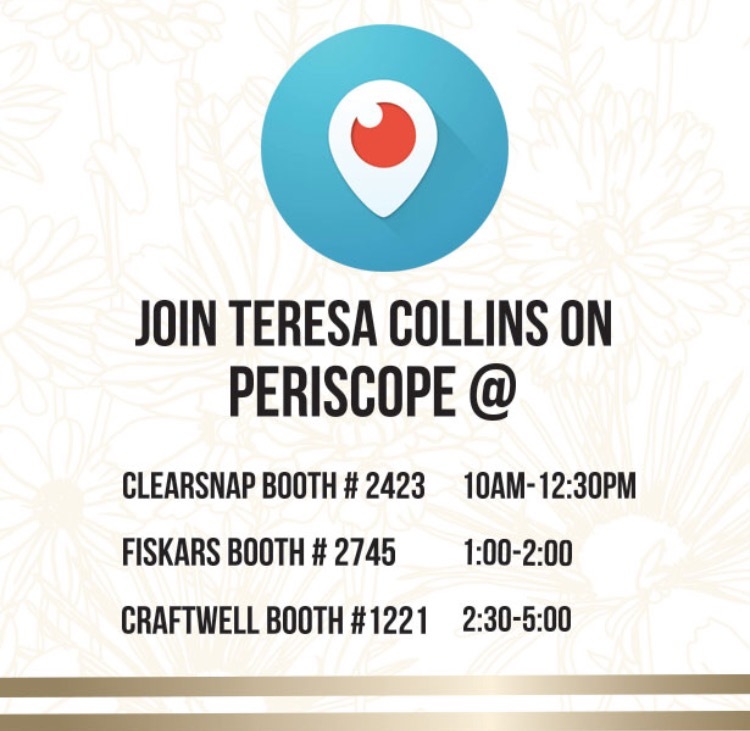 I will be doing a LIVE periscope from the Fiskars booth as well. I will be doing a make n take here as well for you to create and take with you. 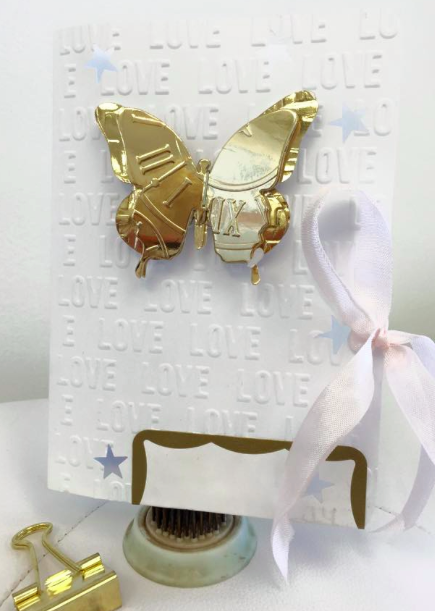 Come create a do a darling embossed folded book cards. It's so cute!!!!!! You can choose from various TC papers to emboss and create. 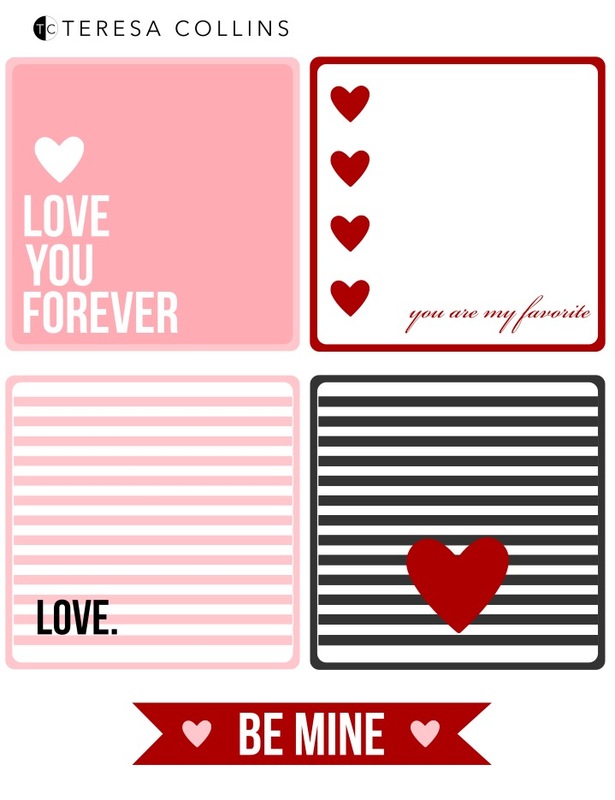 Join me to create your own card. 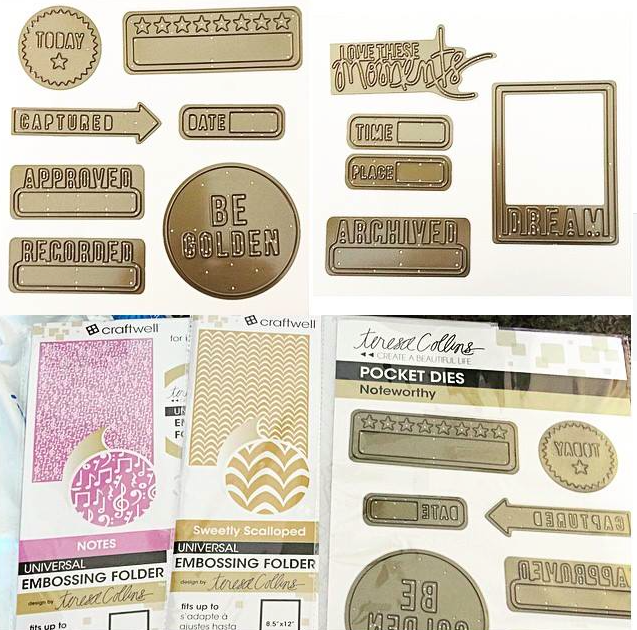 You will emboss with my TC A2 sized embossing folders and see my line of dies. For those of you not at CHA- I will be doing a LIVE broadcast at this time too. Make sure you add me and join me via my broadcasts in all three booths on Saturday. I am doing filming at the show, and have countless meetings. Watch for my Scrapbook Expo segments regarding my show debuts. So for the first time in years, I made the decision to not have my own booth. Oh my...this is where it get's hard. I went back and forth for months. It's been hard to not have a booth. I love doing the booth and booth design. However, as my brand of products and partnerships have grown so often the products are promoted better in my partners booth. Ultimately, I made the decision for two reasons. The first being, I was often not in my booth and was in my partners booths. Every time I left the booth, when people came by they would want to come back and wait until I was there. I have numerous meetings at the show and I realized I was not in my booth as much as I would want. As many of you may not know, last year two people went into my booth and my entire paper collections were destroyed and thrown away. They could not tell by surveillance who had done the damage, but needless to say I was discouraged. It made me realize that my papers still sold without having been shown during the show. This made me come to the realization that having a booth is great, but I can and do sales without a booth. I am blessed to be partnered and have my products worldwide at this point and I needed to simplify in 2016. I remind myself to follow my heart and with my expanding lifestyle brand of products, I needed to simplify my life. I decided to do what I say in my book- EVOLVE or DISSOLVE. I am so thankful for the direction that I knew in my heart I needed to go as a brand and company. I debuted the TC Studio Box with The Original Scrapbook and we had millions of hits this past year. This is photos of the TC Studio Box from my home studio. My furniture piece has been a huge success and we had had sell out issues time and time again. 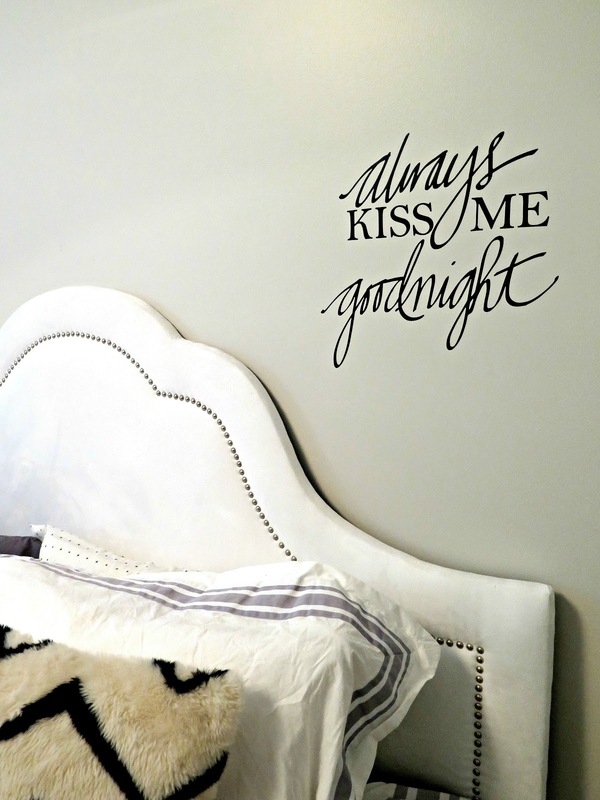 I realized as much as I will always design craft products, my background in interior design has given me the experience and desire to design for the home and decor market. 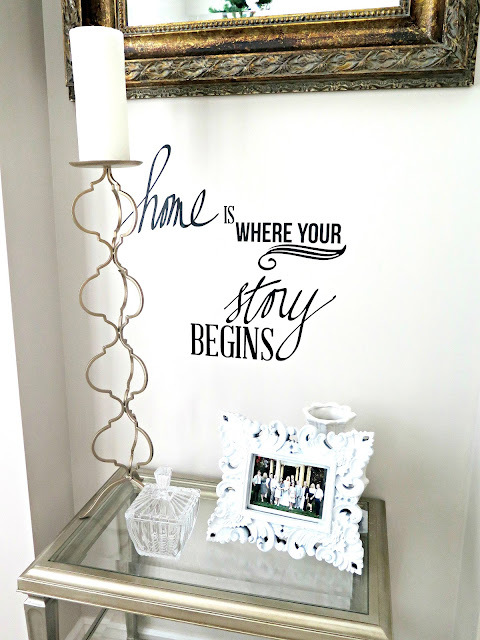 So this past year I did a line of vinyl for HOBBY LOBBY. My line of vinyl debuted at the end of October. It has EXCEEDED the expectations and I am thrilled to be working on MORE in my collections. 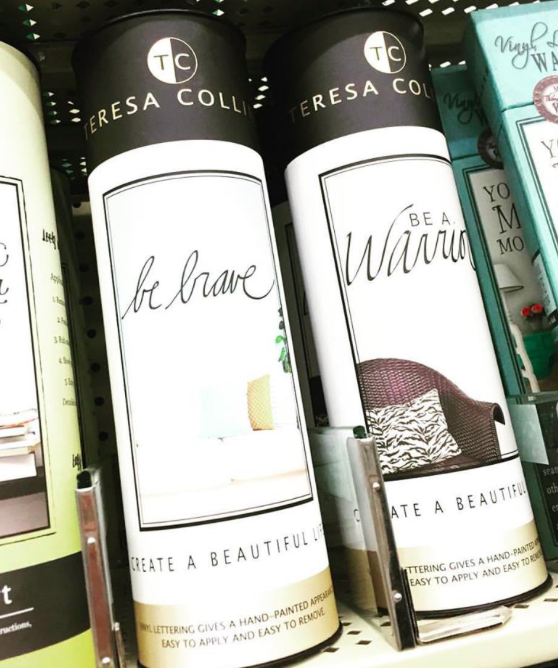 This is five of the 13 TC skus that are available nationwide at all HOBBY LOBBY stores. 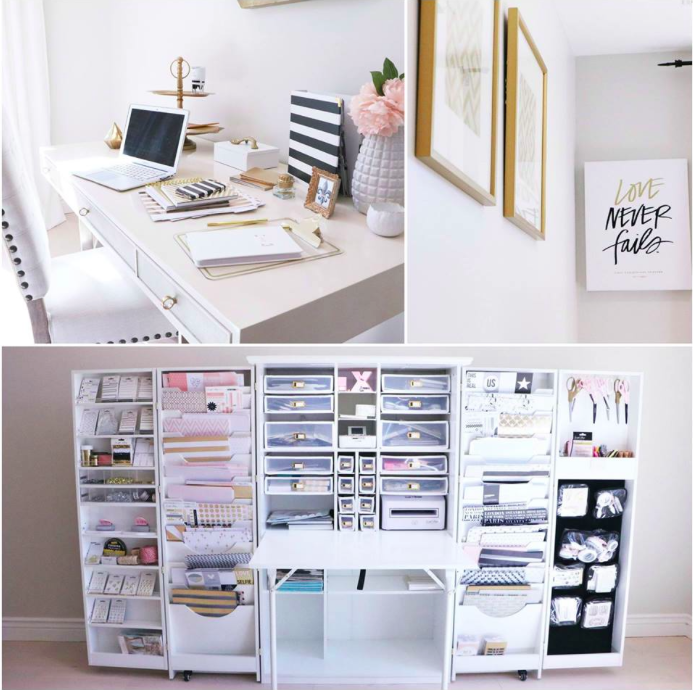 I am thrilled to let you know that you will find a huge selection of my stationery and office products nationwide in the TJ Maxx and Marshalls. The products will be arriving to stores within the next 6 weeks. I will announce when I hear that they available in stores. Here are just some of the stores and products that I have designed that will be available the next few months. TC Home decor board Family Christian in stores this month... January 2016. I have designed home and office magnet boards for TJ Maxx, Marshalls, Home Goods, Home Sense that are available in all of these stores March 1st 2016. 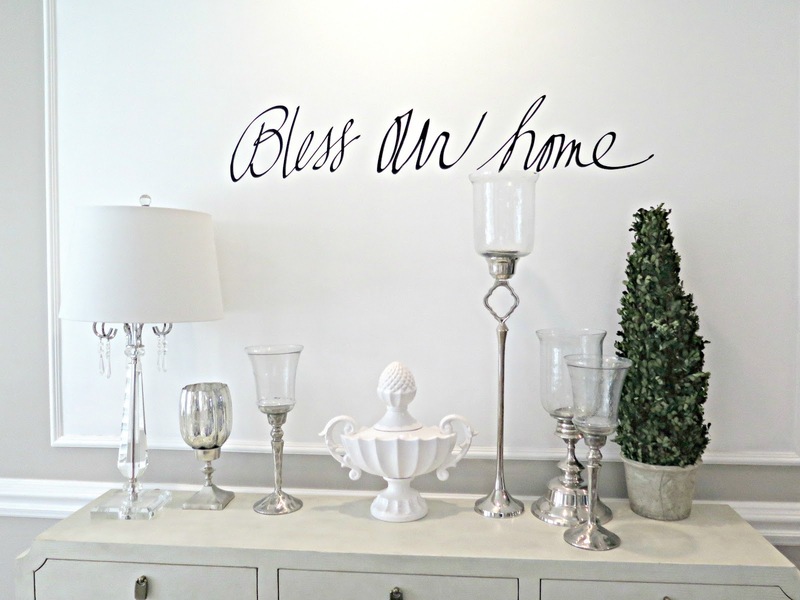 I am thrilled to see my products in the home decor areas of these major department stores. I know that photos and home printing will go hand and hand with these boards. 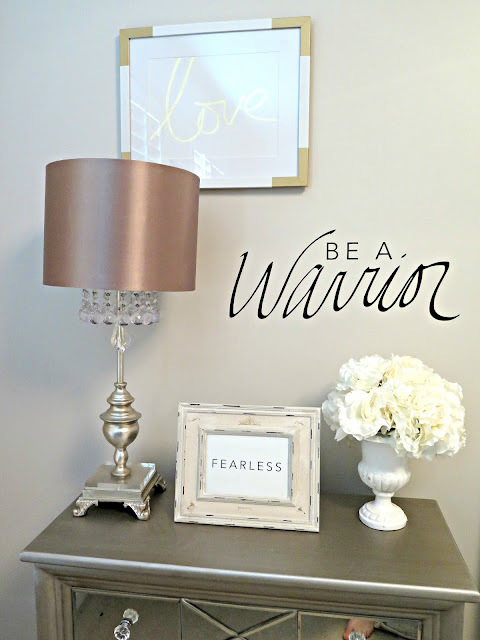 I am still honored to be promoting Canon and they are a perfect fit for my expanding line of products for the home and displaying your memories. This excites me. I have written another book. This is such a honor. I count my blessing daily to be designing from the heart. I have my books now at Costco, Barnes & Noble, Amazon, and at book stores through the world. 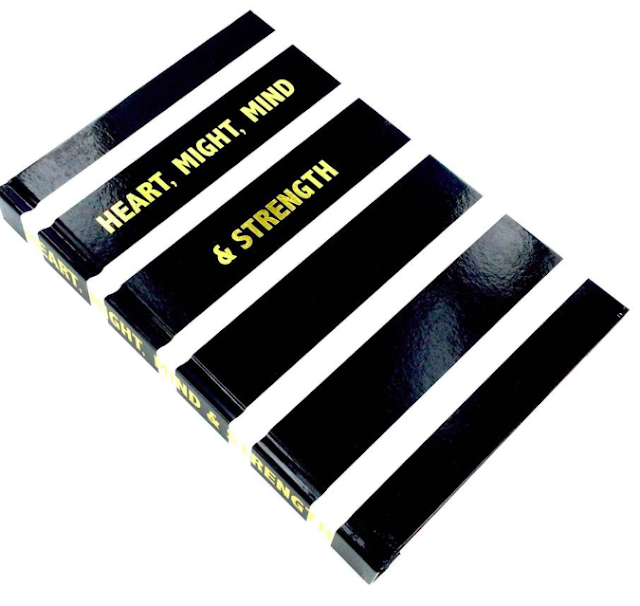 LIVE LIFE IN ALL CAPS and HEART, MIGHT, MIND & STRENGTH. This new one is a journal. You can preorder now at Amazon.com. 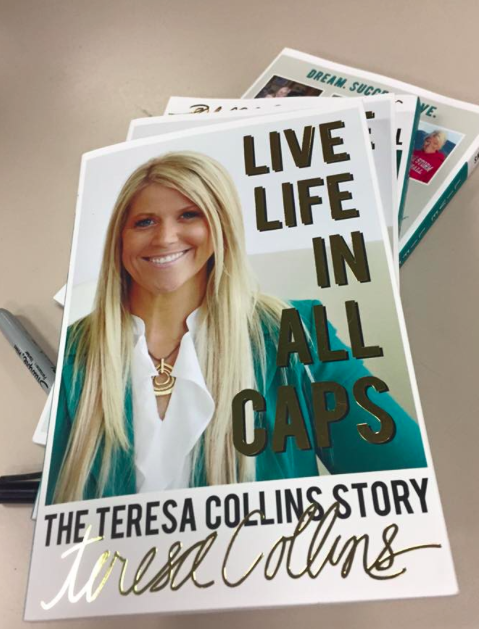 It will be available March 2016. Gratitude for life's golden moments is key to staying happy. 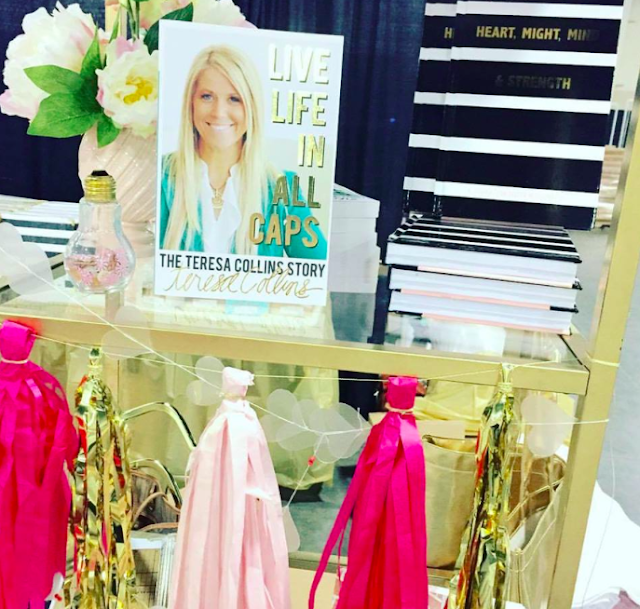 To this end, internationally acclaimed designer Teresa Collins has created a journal especially for those looking for the good in their lives. With a fun design and encouraging quotes, this journal will help you count your blessings and stay positive through even the toughest days. Watch for my products in the retail chain Ross. 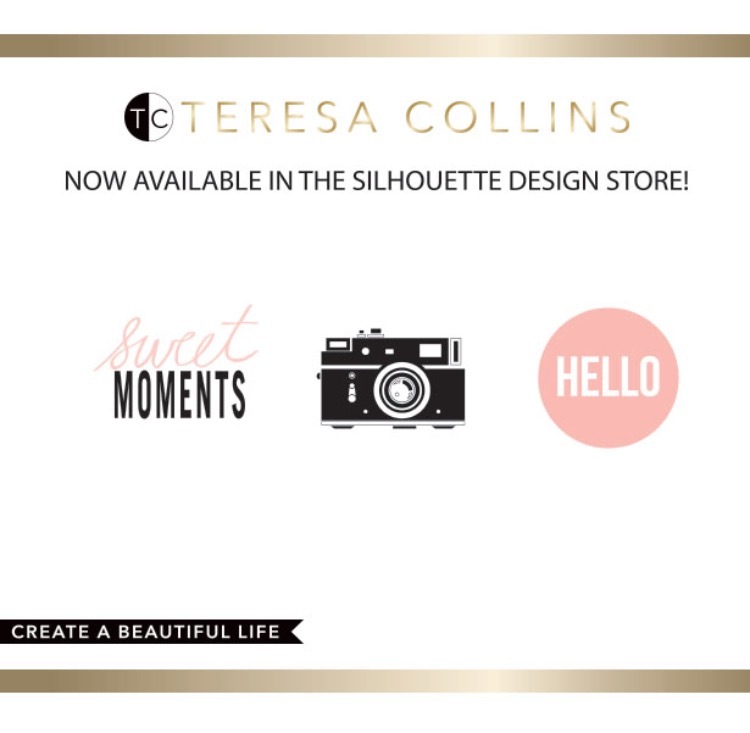 I designed several beautiful TC magnet boards that are in stores June 1st 2016. Bed Bath & Beyond will be selling my Dry Erase canvas boards. THIS is just a few of the products and stores that you will see my brand in this coming year. I have exciting things coming out in the CRAFT and paper area of my designs. All I can say is Studio Gold was a MASSIVE favorite at Jo-Ann Fabric and Craft and you can bet that 2016 is going to be full of Teresa Collins product that are SHINY, GOLD and well... that is all I can share for now. I will not be sharing these upcoming collections now... but let's just say, it makes my heart skip a beat. It's GOLDEN to me. I am truly thankful for Jo-Ann Fabric and Craft for the past year of growing my collections and in believing in me. I can't share all the details yet, but you will see lots and lots of paper and my products debuted this year. I foresee lots of paper pads. I am exceedingly thankful. This journey is something I love. I have had to really FOCUS on living and designing from pure passion. I don't believe in the word CAN'T. I believe I can and I believe YOU can do anything you set your heart and mind to. I know I should not tease, but watch for EVEN more products with my crafting partnerships. 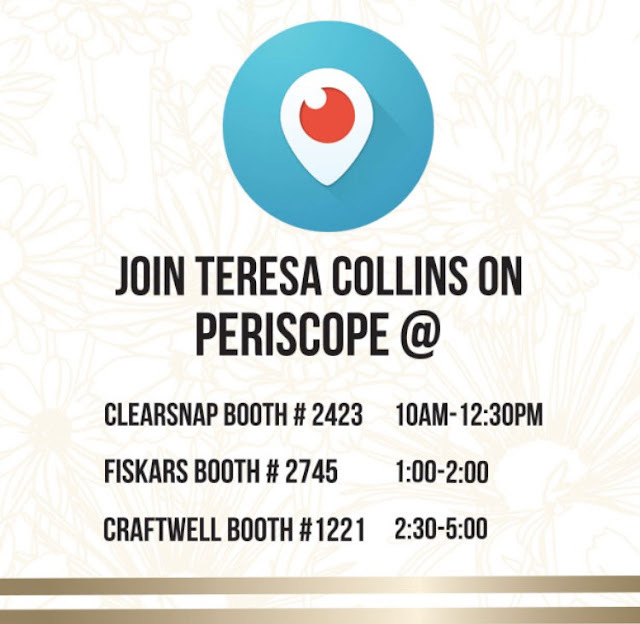 If you are at the show or watch my periscope I will be sharing my NEW lines of products there in the booth. Some of my great partners will not be at CHA but I am still proud to be with Canon and Xyron and PSA Essentials. I will be continuing my weekly Monday show on My Craft Channel. I am very thankful for this collaboration. I will be filming with MCC at the show so watch for the episodes. 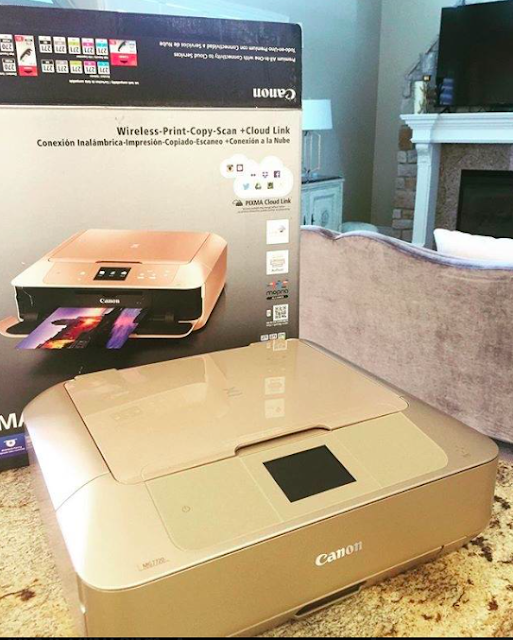 This NEW beautiful Canon PIXMA MG7720 printer is a GOLDEN girls dream. I am going to be sharing more about this printer soon. 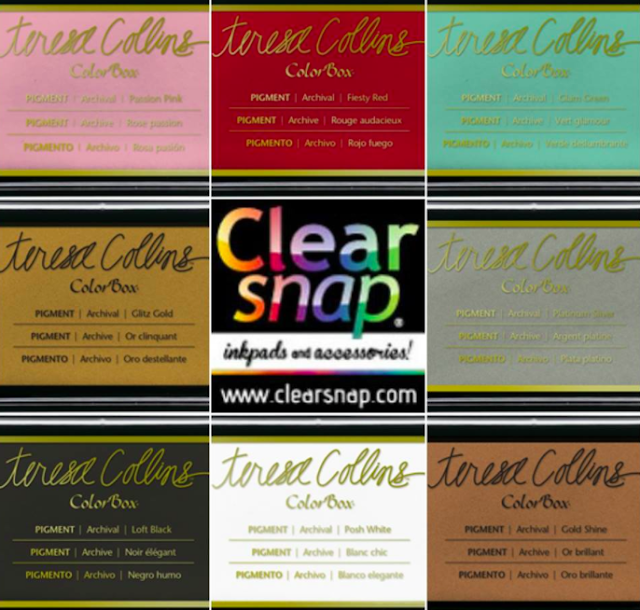 TC Personalized Stampers with PSA Essentials are available at fine stationery stores and Jo-Ann fabric and crafts. *TC line of Xyron adhesive, pink stapler and more found at Jo-Ann, Michael's and Hobby Lobby. I always say that the adhesives you use are the foundation to your creative projects. I have had many people ask if I will still be teaching. YES!!!!! I will still be traveling and teachings. Watch for me in Australia (March), Germany (April), S. Africa (September), Memphis TN (October), California, the TC Vegas event (September), the TC Cruise, Washington and much more.